The Joint Base Cape Cod (JBCC) is a complex place. 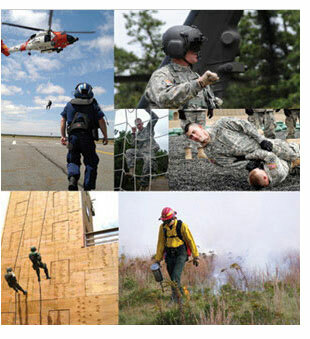 Within its bounds are the members of four military commands training for missions at home and overseas, conducting airborne search and rescue missions and intelligence command and control. There are also experts working to maintain and protect the environment. As a military installation, the JBCC has been used since National Guard training began on the Cape in 1911. During the 1940s, the base was activated by the U.S. Army and used to train and deploy troops being sent to fight in World War II. After the war, the reservation was transferred to the Department of the Air Force and is still often referred to as Otis Air Force Base. In the 1970s, the Army National Guard assumed operational control of Camp Edwards from the U.S. Army, while around the same time, Otis became Otis Air National Guard Base. The U.S. Coast Guard Air Station Cape Cod was established on JBCC in 1970 and in 2008 assumed full responsibility for all airfield operations on the base. Historically, the land comprising the JBCC was home to the Wampanoag tribe, who used the area for daily living and sacred sites. Before becoming fully used as a military installation, part of the land that makes up the reservation was used for sheep farming and the trees were harvested for the shipbuilding trade. So, what is the JBCC today? Of its 22,000 acres, 15,000 acres comprise the northern training area, the major training area for Army National Guard soldiers in the Northeast, where soldiers practice maneuvering exercises and bivouacking, or camping, and use the small arms ranges. The northern 15,000 acres of the JBCC is the largest piece of undeveloped land on Cape Cod and is home to 37 state-listed species living in a variety of habitats throughout the base. The JBCC also sits atop an underground aquifer that supplies drinking water to Upper Cape Cod. In the cantonment or developed area in the southern part of the base are training support facilities such as training simulators, hangars and support facilities for Massachusetts Army National Guard aviation units and the Massachusetts Air National Guard 102nd Intelligence Wing, 253rd Combat Communications Group and U.S. Coast Guard facilities, including Coast Guard family housing, with almost 2,000 residents. The JBCC is home to five military commands, including the Massachusetts Army National Guard at Camp Edwards; the Massachusetts Air National Guard at Otis Air National Guard Base; the 253rd Combat Communications Group, also at Otis Air National Guard Base; the 6th Space Warning Squadron phased array radar site at Cape Cod Air Force Station; and the U.S. Coast Guard at Air Station Cape Cod. These military commands work to protect the land, sea, and air of the northeastern United States. In addition, many military units and service members who work and train at the JBCC are participating in missions around the world. Three programs are also at work cleaning up and protecting the environmental resources on and under the JBCC. The Air Force Center for Engineering and the Environment's Installation Restoration Program is responsible for the investigation and cleanup of soil and groundwater contamination from past military practices. The The Army National Guard's Impact Area Groundwater Study Program manages the investigation and cleanup of groundwater contamination and its sources on and emanating from the northern 15,000 acres. The Massachusetts National Guard Environmental & Readiness Center is dedicated to conducting all training at the JBCC in a manner that is protective of the environment now and in the future. The Environmental & Readiness Center also serves as the community's link for information on the JBCC. U.S. Coast Guard Base Cape Cod is the Coast Guard's primary tennant command within Joint Base Cape Cod (JBCC). Established in August 2014, U.S. Coast Guard Base Cape Cod serves as the single DCMS touch point for the support of Coast Guard operations within the 1st Coast Guard District, standing shoulder-to-shoulder with operational partners to ensure the delivery of professional, responsive and cost-effective services to the American public. 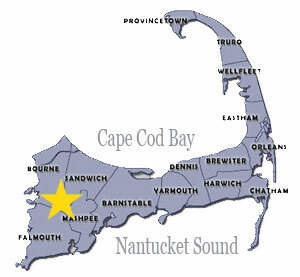 With the shift in support services to Base Cape Cod, all services and support oriented departments are now located at Base Cape Cod. Camp Edwards, encompassing 15,000 acres of the JBCC, is the primary military training facility for National Guard and Army Reserve soldiers throughout New England. Camp Edwards' primary mission is to prepare soldiers for combat missions overseas as well as missions to serve and protect the homeland stateside. Training facilities at the base include a Tactical Training Base, used to simulate an overseas Forward Operating Base, urban operations training facilities, small arms ranges, convoy training, and state-of-the-art simulators. The facilities are also available for use by civilian first responders. Camp Edwards is also home to a National Guard aviation battalion with utility helicopter and air traffic control companies, three engineer units and the Regional Training Institute. Cape Cod Air Force Station is the only land based radar site providing missile warning for the eastern coast of the United States and southern Canada against intercontinental and sea-launched ballistic missiles. The active duty U.S. and Canadian military, and BAE Systems contractors at the Air Force Station, also conduct space surveillance, with approximately 2,600 satellite tracks totaling about 9,100 observations daily. This critical tracking information is electronically transmitted to the Joint Space Operations Center—Space Situational Awareness Operations Cell at Vandenberg Air Force Base, CA, where it's used to maintain a space catalog including more than 18,000 currently orbiting objects, serving an essential role of collision avoidance. The Groundwater Study Program is addressing groundwater contamination and its sources on and emanating from Camp Edwards on the northern 15,000 acres of the JBCC. The program has cleaned more than 50,000 tons of soil from six source areas and treated more than 1 billion gallons of groundwater. Groundwater treatment systems are now treating 2.8 million gallons of groundwater per day and reducing those plumes with the highest levels of contamination. The program continues to move forward with plans to address other areas of contamination as necessary. The Environmental Management Commission and its staff, with the assistance of two advisory councils, monitors military and other activities in the Upper Cape Water Supply Reserve (the northern 15,000 acres of the JBCC). The purpose of the commission is to ensure the permanent protection of the drinking water supply and wildlife habitat on the reserve. The Commission is part of the state's Executive Office of Energy and Environmental Affairs. The U.S. Environmental Protection Agency (EPA) ensures the protection of public health and the environment. The agency works with the JBCC military commands base wide to ensure compliance with environmental regulations and is involved with both the Air Force and Army cleanup and community involvement programs. EPA also provides compliance assistance, regulatory guidance, and input and review of plans and documents regarding the small arms ranges at Camp Edwards. The Massachusetts Department of Environmental Protection (MassDEP) is a state agency responsible for protecting human health and the environment, ensuring clean air and water, the safe management of toxics and hazards, the recycling of solid and hazardous wastes, the timely cleanup of hazardous waste sites and spills, and the preservation of wetlands and coastal resources. MassDEP works with the JBCC military commands base wide to ensure compliance with environmental regulations with both the Air Force and Army cleanup programs and provides compliance assistance, regulatory guidance, and input and review of plans and documents regarding small arms ranges at Camp Edwards. The Massachusetts National Cemetery is administered by the U.S. Department of Veterans Affairs and is the only National Veterans' Cemetery in New England. It occupies 750 acres on the JBCC. The U.S. Department of Agriculture, Animal and Plant Health Inspection Service (APHIS) safeguards the nation's agricultural and natural resources from invasions of foreign pest organisms. This APHIS facility, Otis Pest Survey Detection and Exclusion Laboratory, provides operational support for national efforts to exclude and detect introductions of exotic pests. The laboratory also provides support for the control of pests, such as the emerald ash borer, Sirex wood wasp, Asian longhorned beetle, Asian gypsy moth, and offshore port monitoring programs. The Senior AmeriCorps Program on Cape Cod assists technical professionals from the Environmental & Readiness Center and other entities on various environmental projects at the JBCC and performs groundwater monitoring well restoration and mosquito trapping/control projects. The Civil Air Patrol is a congressionally chartered, federally supported, non-profit corporation that serves as the official Auxiliary of the United States Air Force (USAF). First organized at the beginning of World War II, the CAP is a volunteer cadre that handles 90 percent of inland search and rescue missions in the United States. Civil Air Patrol planes have been among the first to survey the aftermath of such disasters as the attacks of September 11, 2001, Hurricane Katrina and Hurricane Sandy. Civil Air Patrol enjoys a proud legacy of selfless sacrifice and service to country and community that spans decades through its Congressionally mandated tenets of Emergency Services, Cadet Programs, and Aerospace Education. This all volunteer force of Cadets & Senior. Members is the official Auxiliary of the United States Air Force and epitomizes our mantra of "Citizens Serving Communities".